Scranton, CA - New Way® dealers from multiple states recently attended the quarterly Automated Side Loader Service School held at New Way® headquarters. 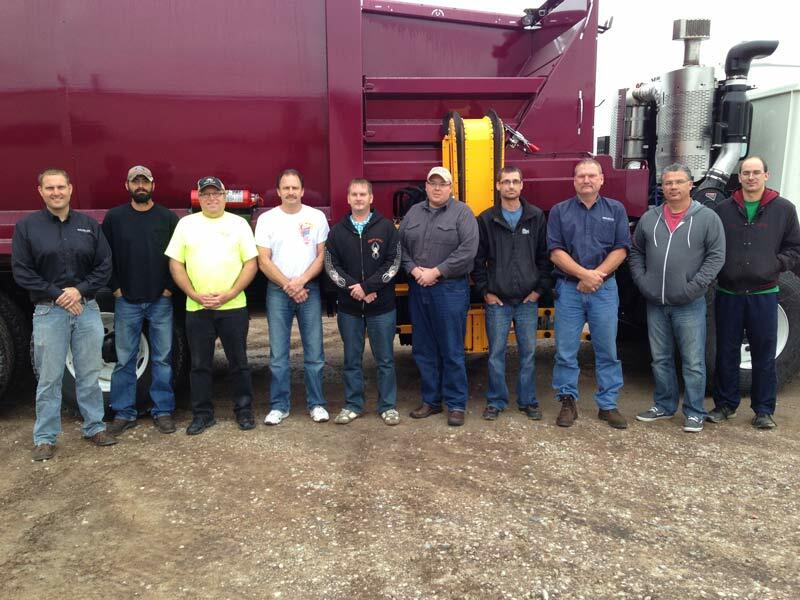 Dealerships from Arkansas, Indiana, Iowa, Minnesota and North Dakota were represented during this intensive two-day training, where attendees learned about maintenance procedures and key Sidewinder innovations designed to help dealers better serve and educate their customers on the popular refuse truck. Training sessions were guided by New Way®'s Chris Milligan, Carl Pezold and Rod Baker. New Way® thanks De Best Equipment, Elliott Equipment, Koenig Equipment, Olympic Sales, and Truck Component Services for sending their technicians to this vital educational function.